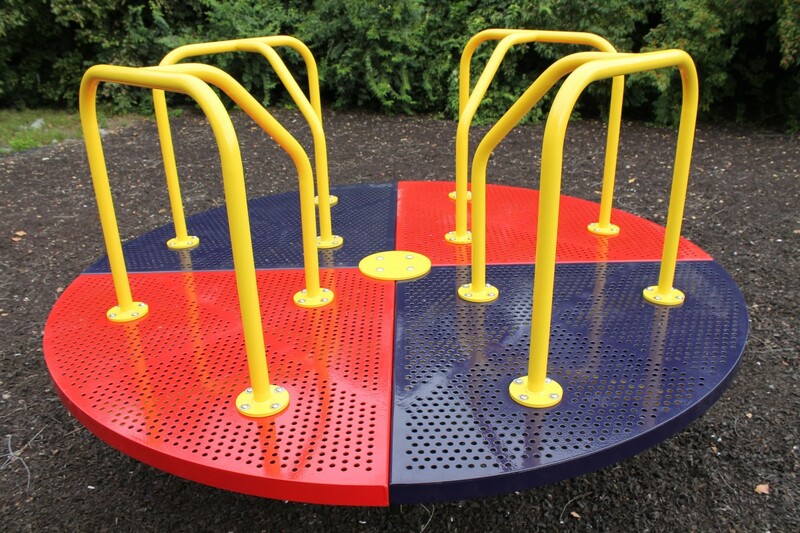 Merry-Go-Rounds have been eye-catching and iconic playground fixtures which have delighted generations of children. 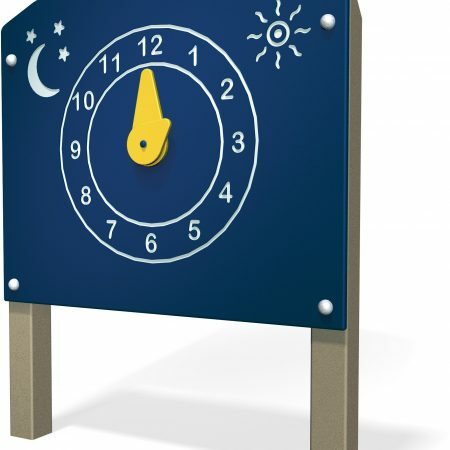 Now, various advancements and improvements on the classic design make structures like the 8-Foot Kaleidoscopic Merry-Go-Round safer than ever. 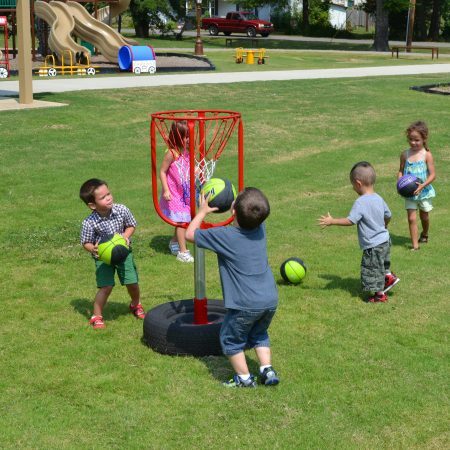 Merry-Go-Rounds have been eye-catching and iconic playground fixtures which have delighted generations of children. Now, various advancements and improvements on the classic design make structures like the 8-Foot Kaleidoscopic Merry-Go-Round safer than ever. 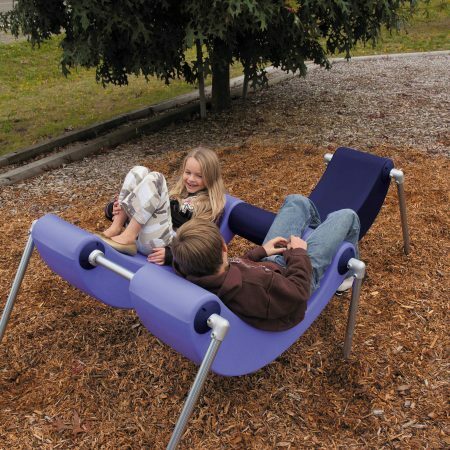 This model features four wide handrails that give kids plenty of places to grip while they push off with their feet or cling to while it is in motion. 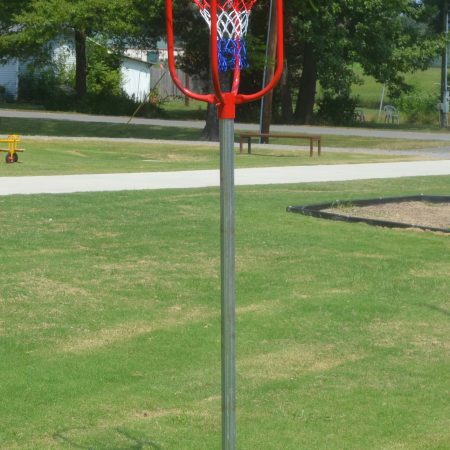 It is elevated a safe distance off the ground to prevent it from catching on anything that would stop it or slow it down. It is also equipped with a special device called a speed governor (see second image) which prevents it from reaching dangerous speeds without making it difficult to push. 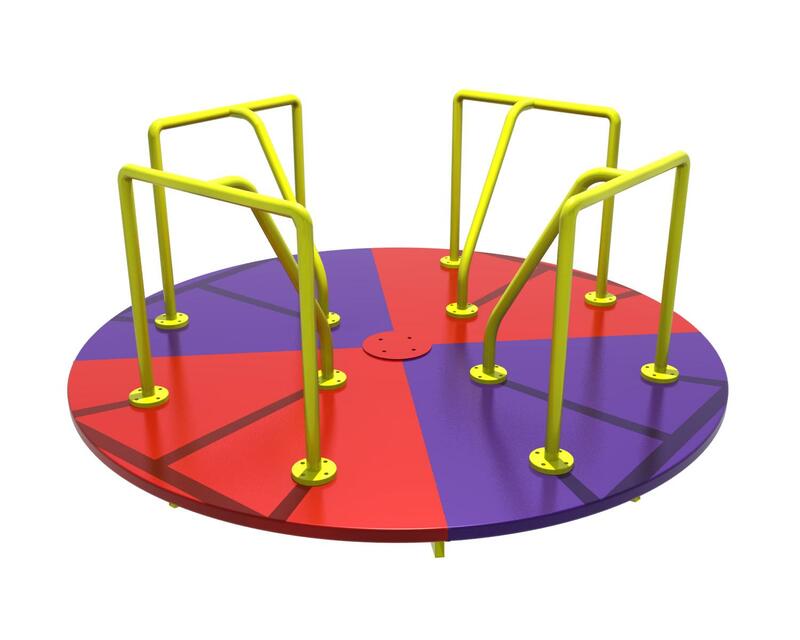 The perforated floor panels are heavy-duty steel and have alternating red and purple colors that seem to blend together when the merry-go-round spins. Just as they always have, kids will love hanging on tight and watching the world fly by.